What Are the Best Scooters for Kids? If you’re looking for the best scooter for your child, you’ve come to the right place. 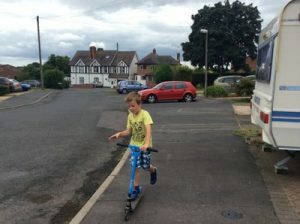 I have two boys aged 7 and 11 and between them we have bought, used and tested a lot of scooters over the years. Having bought some terrible scooters and some very good ones, I have discovered (the hard and expensive way!) what makes a good scooter. I have also done a lot of research into what I should look for when purchasing a scooter. 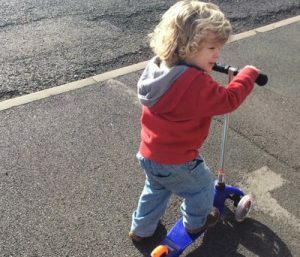 This article has everything you need to know when purchasing a scooter for a toddler from how many wheels to get to the best size of handlebar. There are lots of scooters to suit different budgets and more importantly different children. 3 years old is a great age to get a scooter. They have the necessary balance and co-ordination to get ride a scooter with more ease than very young children. There are lots of scooters aimed at this age group, this article will help you find out which are the best ones. 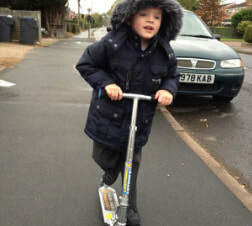 Some 4 year olds love riding on 3 wheels, wheras other 4 year olds are ready to graduate onto 2. There are some great options for this age group once you decide how many wheels to get and this article will help you find out what number that should be. A first school age scooter can be very important from getting to and from school. There are some great scooters for cruising along the pavement for this age group. 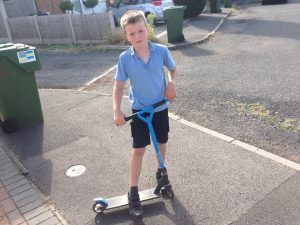 A 7 or 8 year old may be thinking about using a scooter to do their first stunts. It is important to get a stunt scooter if they are going to be attempting to do tricks and jumps or using ramps. There is a great difference between stunt and cruiser scooters and this article gives examples of both kinds. 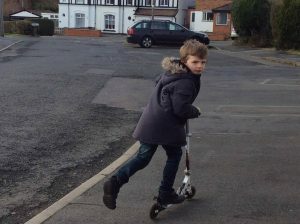 Many 9 and 10 year olds love scooting to and from school. They may be keen to take try a few tricks on a stunt scooter as well. You could consider a scooter for both of these needs. Other types of scooters they may like to try include dirt scooters and space scooters. For many 11 and 12 year olds, the cool factor is important and this can mean they may prefer a certain brand of scooter. 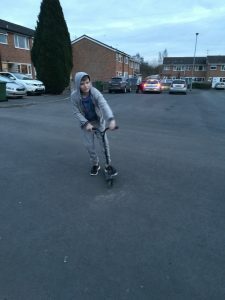 Or it may be that a practical scooter is the best choice for them, to get them from a to b whether that be to school, to and around the park or to a friend’s house. the child in question – and factors including their age, height, weight, ability and confidence level. Longevity – how long do you want the scooter to last your child. 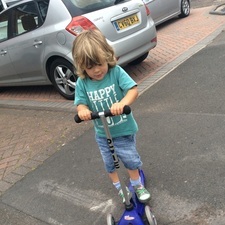 Factors such as an adjustable handlebar can increase the length of time your child can use the scooter. Also do you want this scooter to be passed onto a sibling. Will it withstand the wear and tear to last for years? Practical Issues – There are scooters which fold making them easier to store and carry. Also scooters which have straps enabling you to carry them. Smoothness of ride – the smoothness of the ride can depend on many factors including wheel size and materials of the wheels. So, as you can see there are a lot of different factors to consider which most people don’t! But if you want the best scooter it’s worth thinking about what features you want for your child. This website makes it easy. There are buying guides for every age group featured above as well as a low down on stunt scooters and cruising scooters.